Alex Williams pulled off an incredible engineering project. He developed an Autonomous Underwater Vehicle (AUV) which uses a buoyancy engine rather than propellers as its propulsion mechanism and made the entire project Open Source and Open Hardware. The design aims to make extended duration missions a possibility by using very little power to move the vessel. What’s as remarkable as the project itself is that Alex made a goal for himself to document the project to the level that it is fully reproducible. His success in both of these areas is what makes the Open Source Underwater Glider the perfect Grand Prize winner for the 2017 Hackaday Prize. We got to sit down with Alex the morning after he won to talk about the project and the path he took to get here. 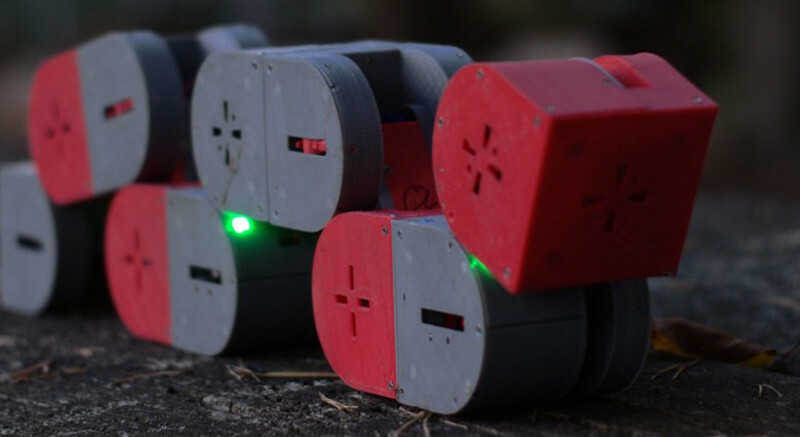 Dtto, a modular robot designed with search and rescue in mind, has just been named the winner of the 2016 Hackaday Prize. In addition to the prestige of the award, Dtto will receive the grand prize of $150,000 and a residency at the Supplyframe Design Lab in Pasadena, CA. This year’s Hackaday Prize saw over 1,000 entires during five challenge rounds which asked people to Build Something that Matters. Let’s take a look at the projects that won the top five prizes. They exemplify the five challenge themes: Assistive Technologies, Automation, Citizen Scientist, Anything Goes, and Design Your Concept. Grand Prize Winner ($150,000 and a residency at the Supplyframe Design Lab): Dtto is modular robot built with 3D printed parts, servo motors, magnets, and readily available electronics. Each module consists of two boxes, rounded on one side, connected by a bar. The modules can join with each other in many different orientations using the attraction of the magnets. Sections can separate themselves using servo motors. Dtto is groundbreaking in its ability to make modular robots experimentation available to roboticists and hobbiests everywhere by sidestepping what has traditionally been a high-cost undertaking. While it’s easy to dismiss this concept, the multitude of different mechanisms built from modules during testing drives home the power of the system. Second Place ($25,000): Reflectance Transformation Imaging is a method of photographing artifacts multiple times with a fixed camera location but changing lighting locations. When these images are combined into an interface after the fact, it allows for different textures, surface features, and material properties to be observed. Currently there are no commercial version of hardware available for this technique. Third Place ($10,000): An optics bench is a series of jigs used to hold and precisely align elements for optical experiments. Traditionally this meant highly specialized equipment starting in the tens-of-thousands of dollars. But schools, hackerspaces, and individuals don’t need top-of-the-line equipment to begin learning about optics. 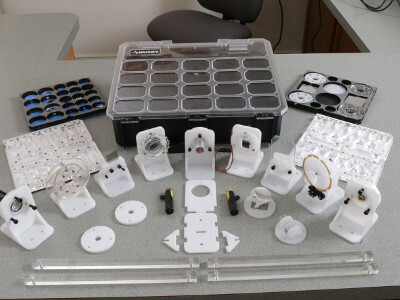 The project has designed holders for salvaged optics and the ancillary materials to conduct experiments, and even includes a standardized carrying case design. Fourth Place ($10,000): This is a reimaging of a Linear Variable Differential Transformer (LVDT). Traditionally, tilt sensors based on LVDTs are built like a small tube with an iron core that can slide from one end to the other as the tube is tilted. This new sensor turns the tube into a hollow ring, and replaces the iron core with ferrofluid (a liquid with the properties of metal). What results is a brand new sensor with properties unavailable in previous tilt sensors. Fifth Place ($5,000). Stepper motors are known for accurate movement, but they are often used as open loop systems and prone to lose track of position either from missed steps or outside interference. Mechaduino adds a high accuracy magnetic encoder to any of several commonly available stepper motors, closing that loop and adding functionality. This includes positional awareness, but goes for beyond to velocity and torque control, and user interaction. 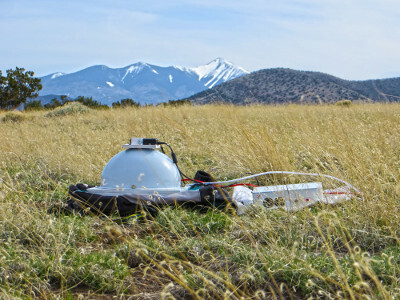 The 2015 Hackaday Prize challenged people to build something that matters. Specifically, to solve a problem faced by a lot of people and to make the solution as open as possible. If the average hacker can build it, it puts the power to vastly improve someone’s life in their hands. This is a perfect example of how powerful Open Design can be. Patrick Joyce, Steve Evans, and David Hopkinson, developed a way to control an electric wheelchair using eye movements. 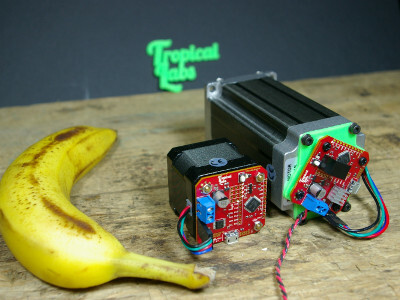 The project, called Eyedrivomatic, is a set of non-invasive hardware modules that connect the wheelchair joystick with existing Eyegaze technology. You’re probably already familiar with Eyegaze, which allows people suffering from diseases like MND/ALS to speak through a computer using nothing but their eyes. Eyedrivomatic extends this gaze control to drive a wheelchair. The catch is that the wheelchair’s user may not actually own the chair, and so permanent modifications cannot be made. Thus Eyedrivomatic connects a wheelchair to the existing Eyegaze hardware without permanently altering either. 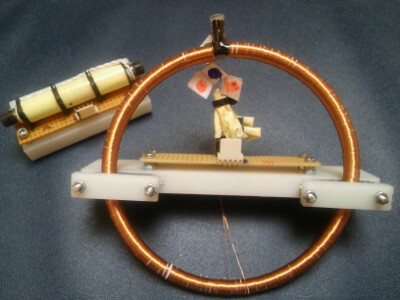 This has never been done before, and the high level to which the team executed this project netted them the Grand Prize of the 2015 Hackaday Prize. The team will receive their choice of a Trip into Space or $196,883. Check out their acceptance video, then join us after the break to learn what went into this amazing undertaking.